Wow, Pablo! I hope you have a good supply of chocolate on hand. Looks like you'll need it with that challenging hair! It's looking great already. Your texture in the hair is amazing. I can't wait to see the finished painting. 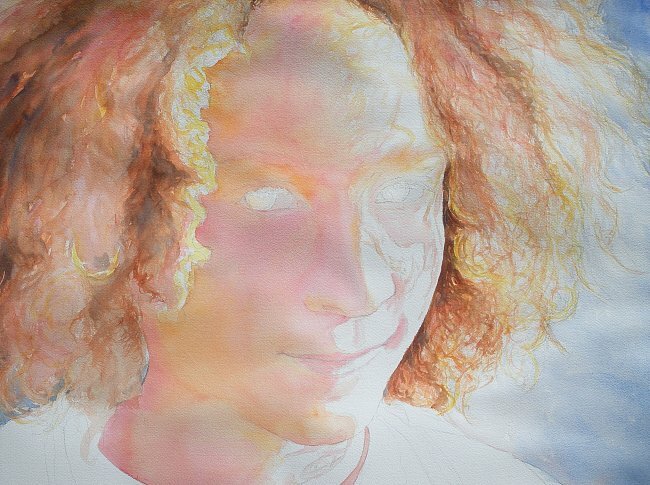 Its taking shape beautifully, Pablo!Great work on hair,obvious thing to say:) Thanks for sharing your WIP. Thanks for stopping by Michelle, Nancy and Arti! I have really been enjoying catching up on your blogs too!